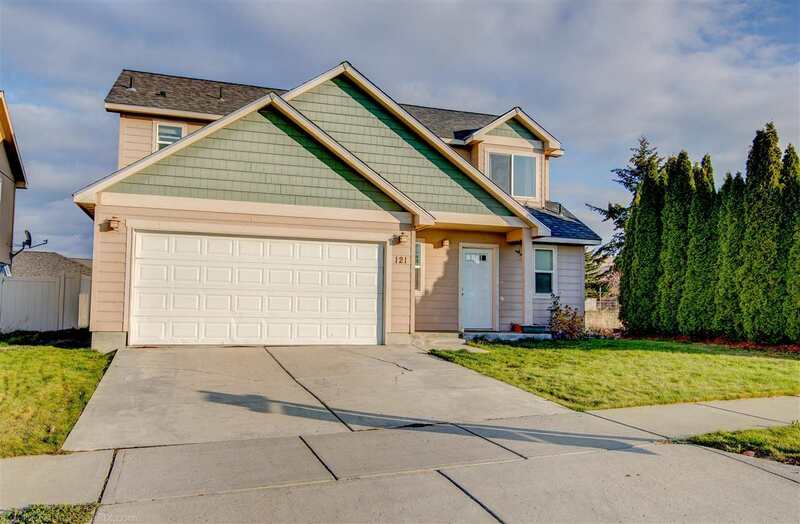 121 S Meyers Rd, Spokane Valley, WA.| MLS# 201827055 | Cooper Realty Services (509) 599-1111 | Spokane WA Real Estate | Contact us to request more information about our Homes for Sale in the Spokane WA area. Mica View/Green Acres Home with open floor plan and new updates! Sleek 2010 home boasts entertainer&apos;s kitchen, beautiful cabinets, stainless appliances, breakfast bar, corner pantry and massive living room! Huge Master suite has walk-in closet and private bathroom with raised double sinks. Patio off kitchen for entertaining with fenced large back yard! Beautiful surrounding mountain views.